Mr. Brown is a senior researcher with the Alan M. Voorhees Transportation Center (VTC) and adjunct professor at the Edward J. Bloustein School of Planning and Public Policy, both at Rutgers University. He has 15 years of public and private sector experience in transportation planning, policy, and research. He is considered a national thought leader and a leading voice in encouraging social equity in active transportation. He served as an instructor for twelve deliveries of the New Jersey Department of Transportation Complete Streets Course, and trained chronic disease coordinators throughout NJ on behalf of the New Jersey Department of Health. He currently serves as an instructor of a course on advanced environmental justice (EJ) for the National Transit Institute (NTI) and Federal Transit Administration (FTA), and is part of course faculty at the Walkability Action Institute, funded by the CDC. 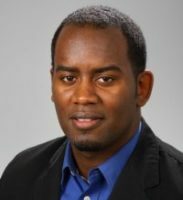 Often invited to present and deliver keynote addresses at many international and national conferences/ summits, his work has been published in several international journals as well as featured by or quoted in the New York Times, Streetsblog, CityLab and various other national and local media outlets. He is a member of the Transportation Research Board (TRB) Pedestrian Safety Committee, Board Trustee with America Walks and the Urban League of Essex County (NJ), and serves on the Franklin Township (NJ) Planning Board. He is a proud member of Kappa Alpha Psi Fraternity, Incorporated.